My first ever T’nalak Festival experience happened in 2008. Unfortunately, it was just a (half) day short as I booked my return trip to Manila the day the festivity started. Little did I know I would be missing on a lot of fun street festivity. I was able to do a quick tour though of the bahay kubo exhibit, the agri-trade fair and did last few minute pasalubong shopping inside the Protech Center. It was a very short introduction to T'nalak Festival but it sure did ignite my interest to watch the much talked about parade on my next visit. In 2010, I made sure to catch the Street Dancing Parade. 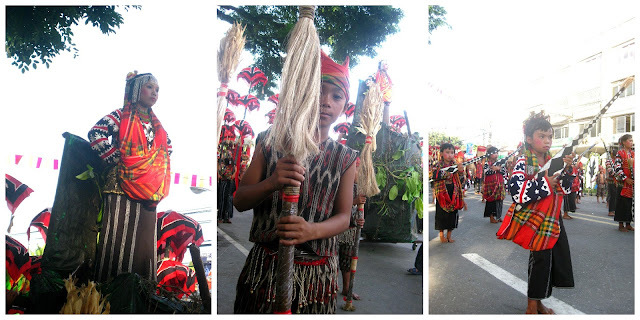 I was on the streets of Alunan by 6am before the street dancing started with the tribal music pumping the festival vibe, I was extremely excited as it was my first ever festival parade experience. But rain poured, hard. Despite that, I was totally blown away to see student performers, still in full spirits, merilly dancing in the rain draped with t'nalak costumes. I wasn’t able to watch their showdown in the open field as me and my relatives had to visit our other relatives in Lake Sebu. 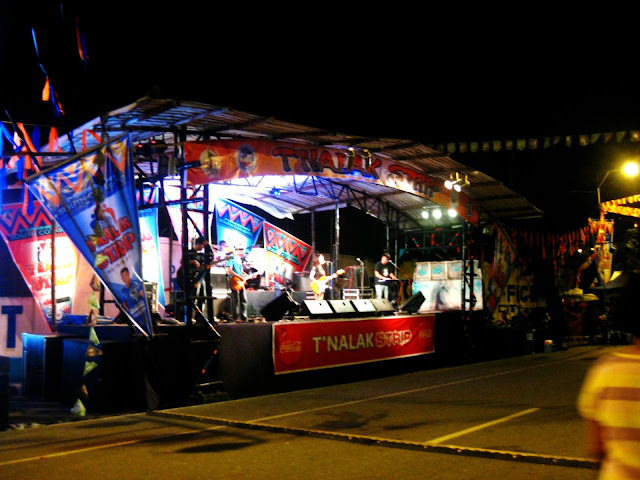 This 2013, armed with printed festival schedule, I made sure to experience the many activities of T’nalak Fest. For the anxious Manileños, let me share with you a list on some of T'nalak Festival's best and brightest so you can fully enjoy South Cotabato's festival pride. 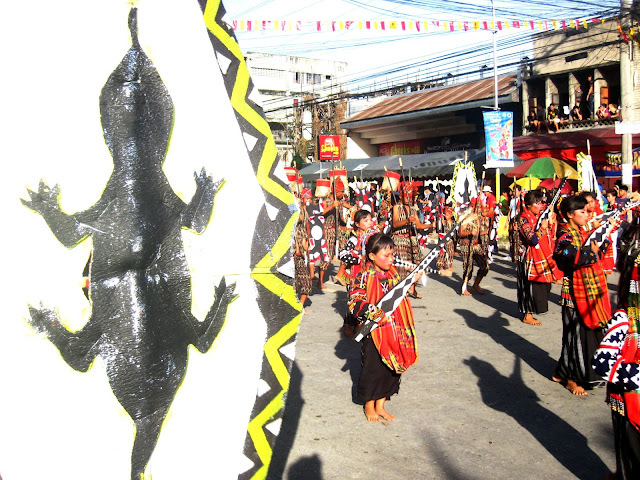 Watch the grandest cultural dance showdown in SOCCSKSARGEN region. Aside from the colorful costumes and ethnic dances stars the many interesting stories depicting history and legends passed on to generations. 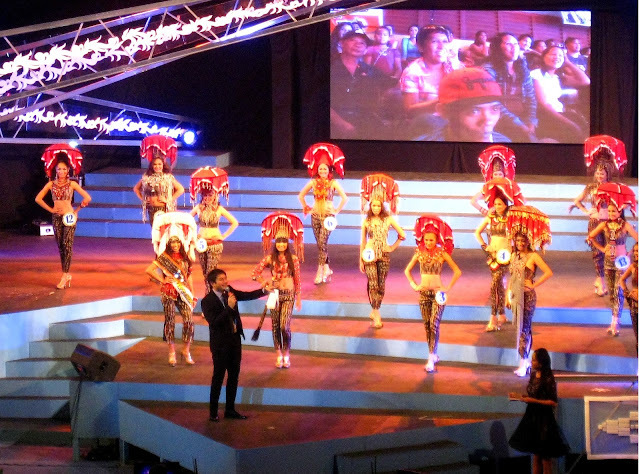 The cultural presentations are overflowing with rich, vivid images of life, tradition and passion. - There's a short storytelling prior to the presentation. Listen very carefully to understand the performances even more. - Don’t wait for the whole street parade to end if you want to watch the street dancing showdown and be able to sit comfortably. If possible, split your group and make the other group secure seats in the grandstand of South Cotabato Sports Complex. Forget about too much commercialized street dancing parades filled with celebrities. The T’nalak street dancing parade is raw and real. 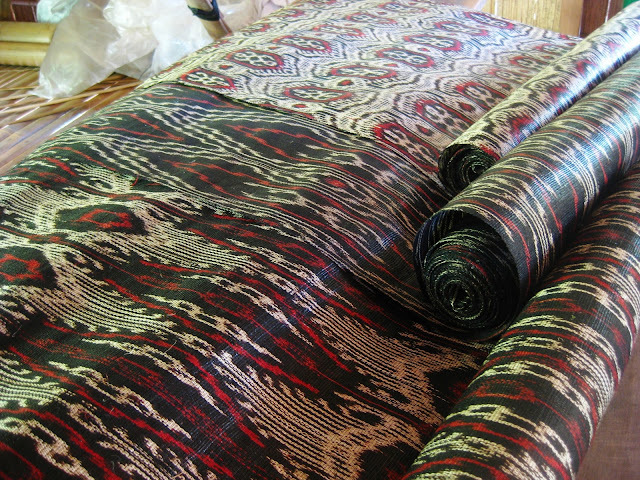 It highlights what needs to be highlighted – the T’nalak fabric, South Cotabato’s cultural emblem. 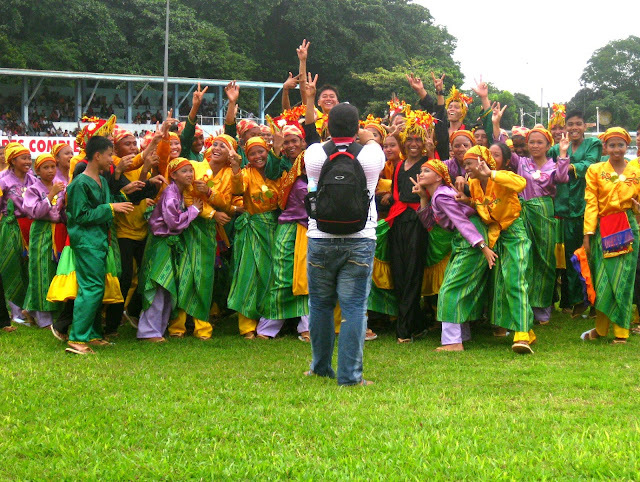 These talented students representing schools from different cities and municipalities are the best faces to promote the rich Mindanaoan tradition that is Uniquely South Cotabato. - If you wish te get photos with the dancers, come early in front of Protech Center around 6am as it’s where the street dancing parade starts. There you can have a chance to take photos with student participants while they wait for their turn. 3. Bahay Kubo and Product Display Competition. 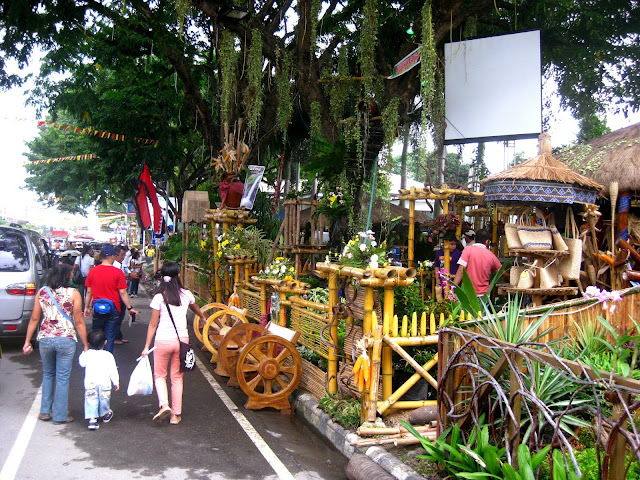 Feast your eyes with lines of bahay kubo displayed along Alunan Ave. This year, different municipalities decorated their kubos with products that are unique and abundant in their areas. This exceptional pageantry of native huts is one of the best ways to learn what South Cotabato can offer in terms of agriculture, nature and culture. 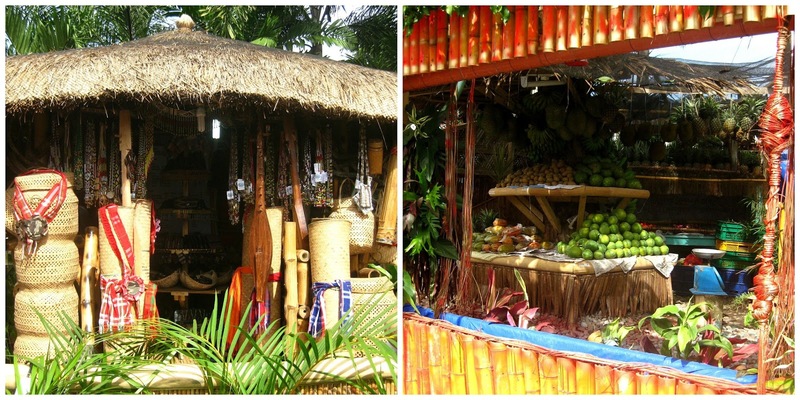 - You can buy souvenirs here, from native products to the incredibly cheap fruits and vegetables. 4. Party over Disco sa Kalye. If you want to see how Southern Mindanao party, then you should experience the week long night parties especially the foam party thrown at the last day of the festival. Set your dinners with family and/or friends along the T'nalak Strip and enjoy grilled barbeques al fresco while listening to your type of music. There are three band stations along Alunan Ave catering to different tastes - rock, acoustic and pop. Ending a festival celebration wouldn't be complete without its magical burst of lights. 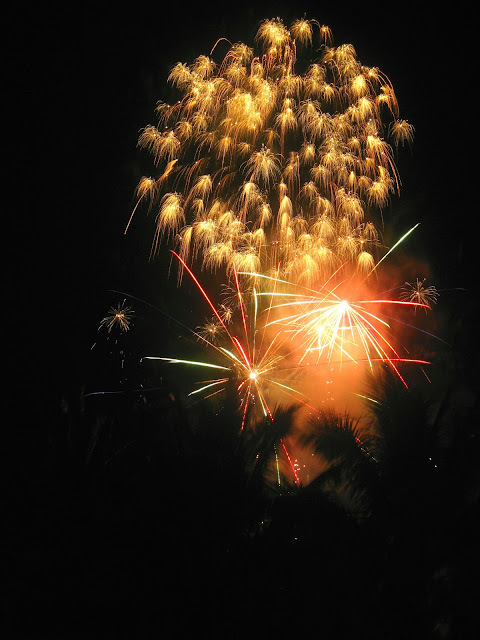 The best way to cap of the celebration is to experience fireworks in South Cotabato. After all the merry making and drunkin’ night parties, try to make a mental note to look into skies at around 10pm for the 15 minute firework display. Be a kid again and enjoy the Carnival. 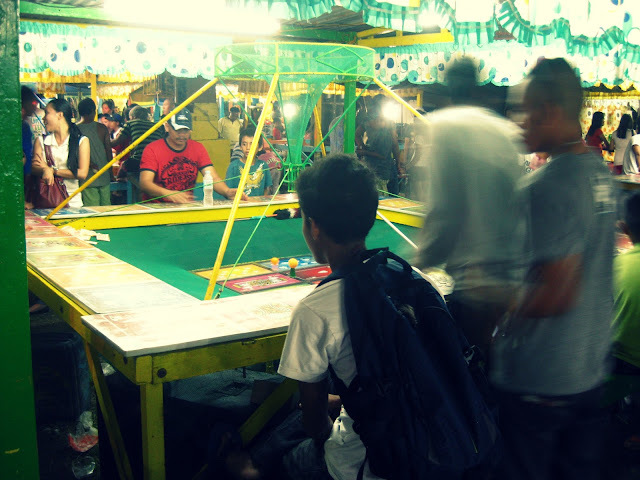 Located within the vicinity of Protech Center are some rides and fun games just like what you see in most “peryas”. 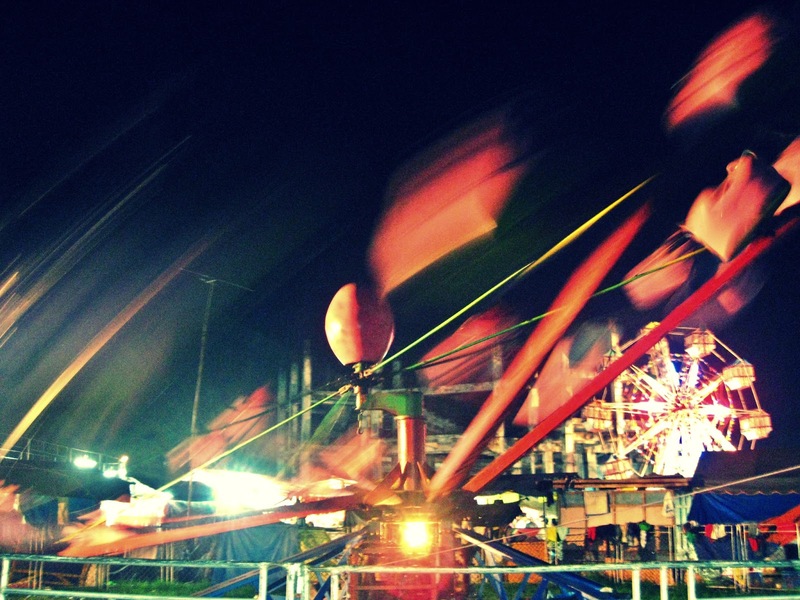 A staple during town fiestas, the carnival comes alive at dusk, adorned with ferris wheel, octopus and caterpillar rides, rollercoaster, inflatables and more. Play the local type casinos without bursting your wallet. 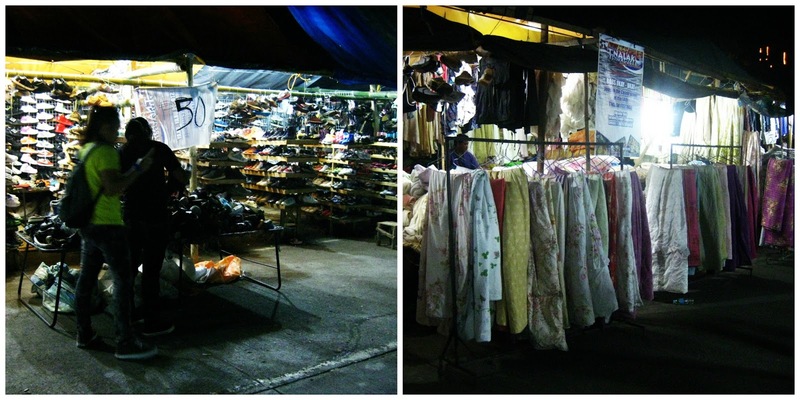 Update your wardrobe with a good ol’ Ukay Ukay adventure. All tiangge lovers out there will surely enjoy the many streets filled with great quality second hand items of clothes, bags, shoes, bed sheets and comforter sets. Watch out for some real designer pieces. I was able to hoard a couple of designer (real deal) bags, shorts and quilts during my previous visits. 8. Watch the parade of beauties on Mutya ng South Cotabato. This night of pageantry is as interesting Bb. Pilipinas, I tell you! I was over the top thrilled to see fans, friends and tourists inside the gymnasium giving an all out support to their bets. It was indeed an interesting night for someone like me who is not really interested in beauty pageants. Koronadal sits in between General Santos and Sultan Kudarat. 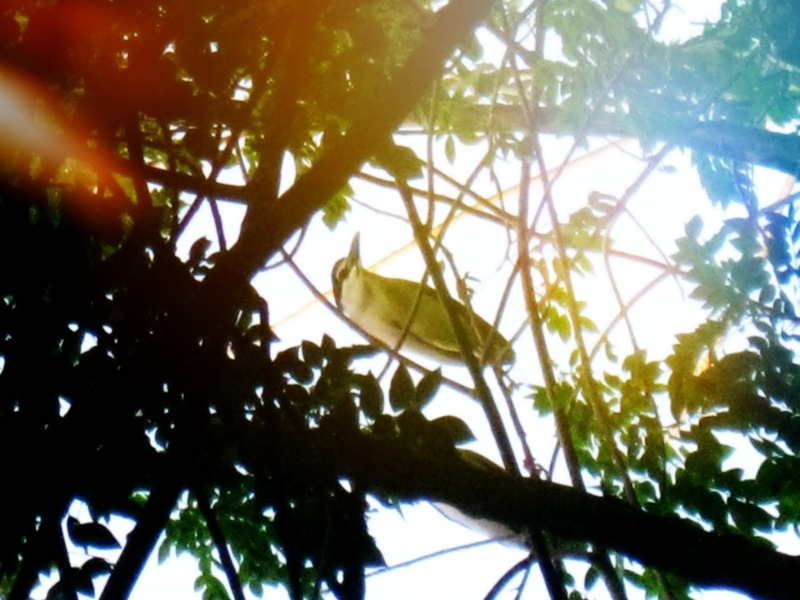 If you have few more days to spare (I suggest a week of exploration comprising of trips to Lake Sebu, Baras Bird Sanctuary in Tacurong and the Tarsier Sanctuary of Tupi). Take road trips and feast your eyes with hectares and hectares of farm lands while enjoying the crisp, clean air of South Cotabato. 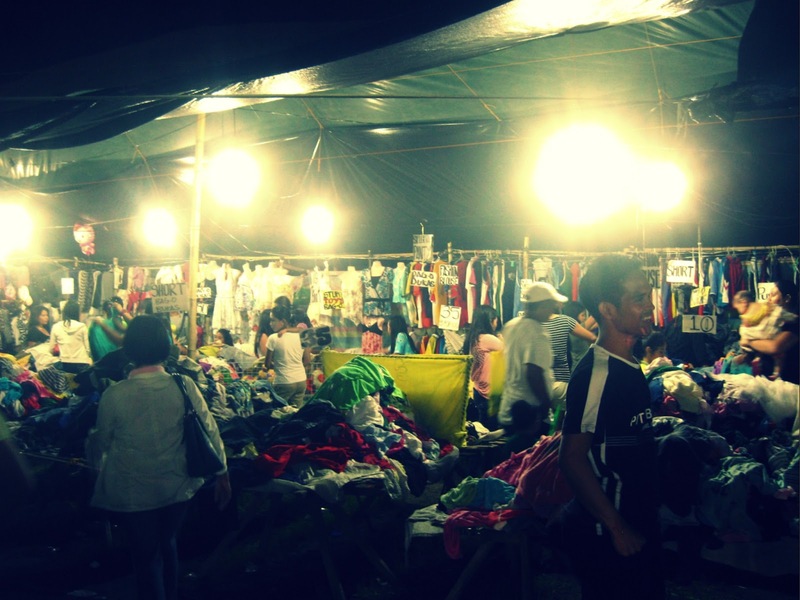 Before you head home, I suggest you bring with you some of South Cotabato’s best pasalubong products: organic fruit juices from Kablon, terracotas from Tantangan, t’nalak fabric from Lake Sebu, some native products and the generic souvenir shirts. 11. Attend Mass in Ilonggo. Koronadal is mostly Catholic and one of the best ways to experience the local life is to hear Sunday mass in the province's local dialect. If you want to see some sports action, then go see the Motocross competition. Other interesting activities include hip hop and team ballroom competition, pop music solo competition and cheerdancing competition. This year, for the first time, the province held a National Dog Competition. 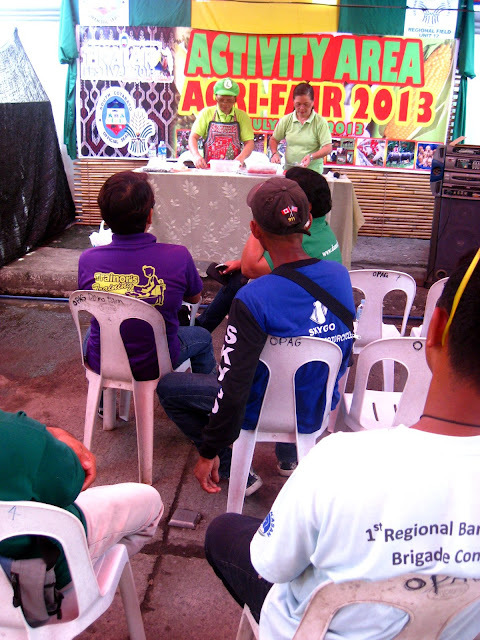 Free seminars are given at the Agri Fair and Plant Exhibit, while some are being conducted in Gaisano Mall. Confirm by checking the official schedules first. Fruits in Manila are very pricey. So whenever I get to visit my relatives in South Cotabato, I make sure to drown myself with lots and lots of fruits that are both abundant and cheap. A papaya per piece here is just Php2! And if you're a Dole pineapple fan, then Polomolok will be like a chocolate factory to you. So go on and feed your tummy with fresh, healthy and tasty fruits like durian, marang, rambutan, mangosteen, guyabano, papaya that are overly cheap. 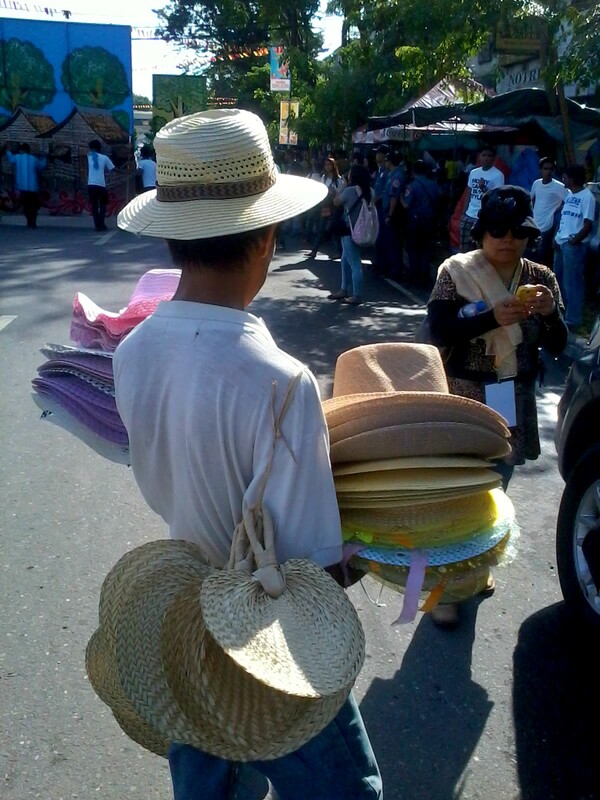 Head over to Tupi which is considered as the fruit and vegetable basket of South Cotabato. For a refreshing merienda treat, try Buko Halo Halo from Apareja. 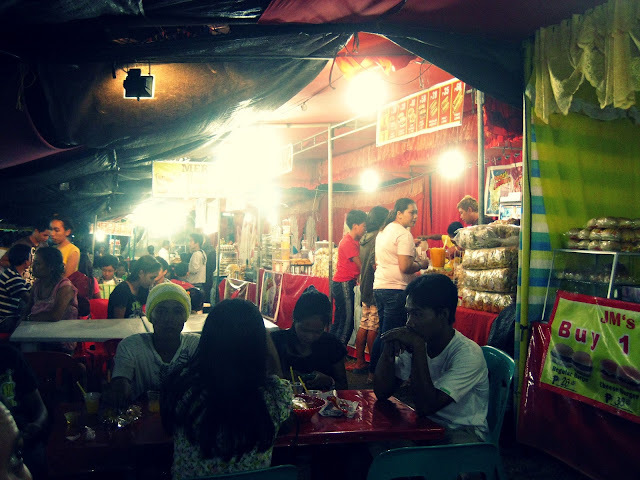 Barbeques, kwek kwek, fish balls, sweet corns, cotton candy, hot peanuts, takoyaki, pop corn... Just take a refreshing night stroll and eat. Fiestas give photographers, professionals and amateurs, a lot of interesting subjects to cover, from street foods, to social events to the much awaited parade. This is a good chance to hone your photography skills. More than half of the population in South Cotabato is Ilonggo, and Ilonggo equates to batchoy. 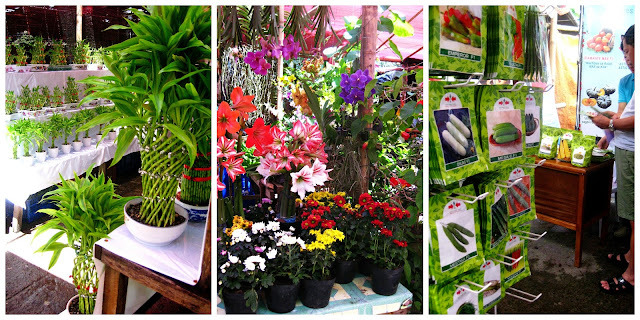 The long line of garden exhibits will surely satisfy the plant lover in you. 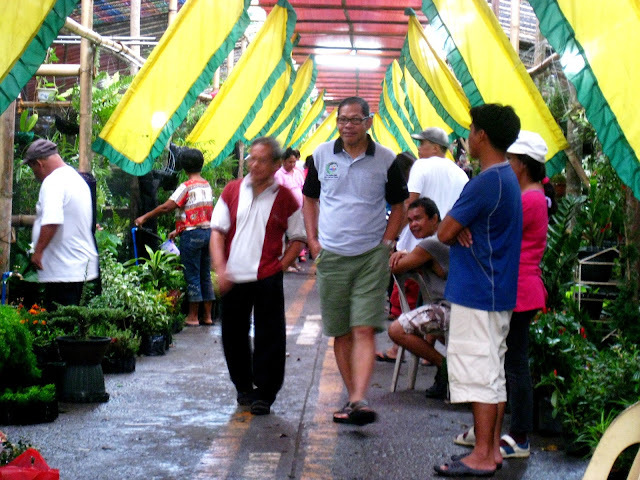 In the Agri Fair and Plant Exhibit, you can shop for your favorite ornamentals, bonsai, orchids, fruits and vegetable pots, planter boxes, seedlings and other indigenous plants. 19. Ride the local transportation. Ride these mini bumblebees. Tricycle is the main mode of transportation. 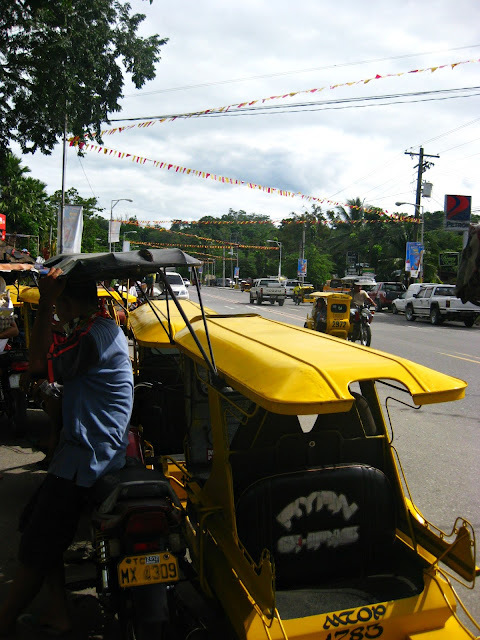 You won't get to see public jeepneys in General Santos, South Cotabato nor in Sultan Kudarat. Lower your expectations when riding vans and multicabs. But buses plying from General Santos to Koronadal to Tacurong are way better compared to public buses in Manila. If you're in for a thrill, get your fill of adrenaline rush by riding habal habal in Lake Sebu. Consider it a mortal sin to fly all the way down south, experience the parade and all other big events and leave without even seeing how a roll of t'nalak fabric is made. 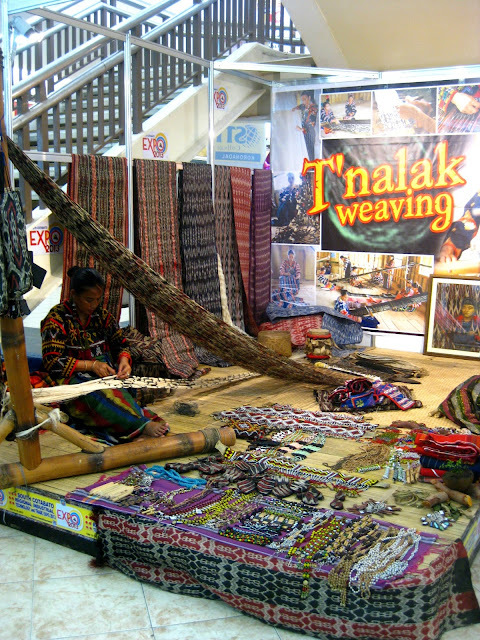 This year, the t'nalak weaving demo was placed inside Gaisano Mall. But I strongly suggest a sidetrip to Lake Sebu to meet the National Living Treasure awardee, the master weaver herself, Lang Dulay. How a t'nalak fabric is made? South Cotabato’s annual T’nalak Festival is celebrated in the city of Koronadal during July 11-18. 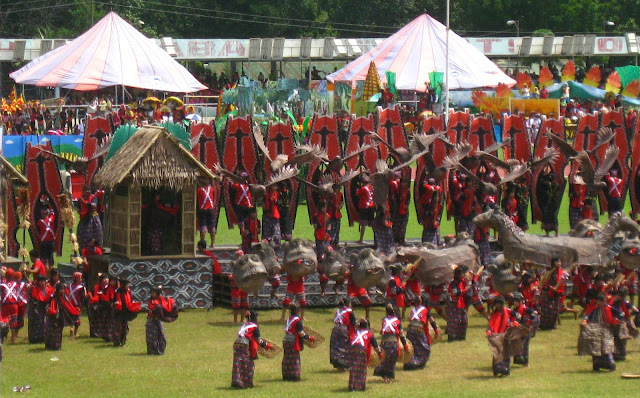 This 2013 marks the 14th T’nalak Festival and 47th Foundation Anniversary celebration with the theme “Uniquely South Cotabato." South Cotabato is a rich cultural heartland, proving to the world, there is unity in diversity.